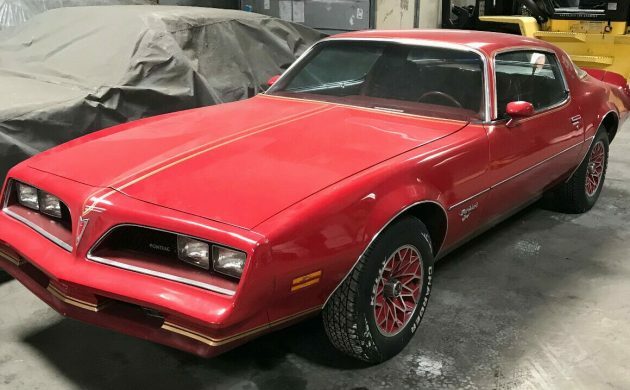 The Red Bird package brought no performance enhancements to the table for the Pontiac Firebird, but was a “dress-up” package for the Esprit, much like the Skybird package before it. 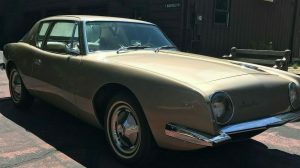 The Skybird was not a car that was widely accepted by the male population at the time, as the color saw greater acceptance among female buyers. The Red Bird was introduced in a bid to capture both markets, which it seemed to do reasonably well, with estimates of around 4,000 examples being sold in 1979. Records for the 1978 model year are sketchy, but due to its late introduction to replace the Skybird, it is believed that totals for that year were significantly lower. 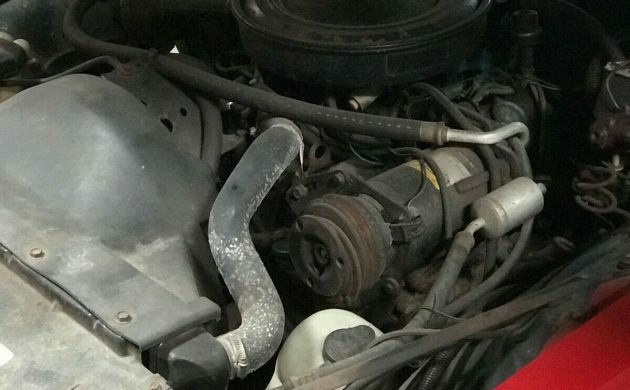 This Red Bird looks to be in pretty reasonable condition, and would potentially be something a bit different to your average Trans Am. It is located in Wilmington, California, and is listed for sale here on eBay. 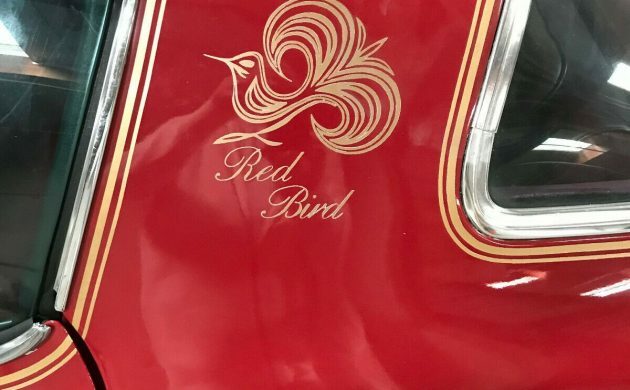 The extent of the Red Bird Package was an exterior and interior trim enhancement package, and as the name suggests, the car could be had in any color, as long as it was Roman Red. The wheels were also finished in the same color, with gold accents and “Red Bird” decals. The paint does look a little bit tired, but I think that it may respond well to a decent polish. The correct wheels are in place, along with the majority of the gold stripes and decals. The decals on the rear pillars look like they may not be original, but the external condition of the car does look promising. The package brought no additional performance to the table, and while the vast majority of the “color bird” series were V6 equipped, there were a few V8 examples built. This one features the 305ci V8, backed by an automatic transmission. 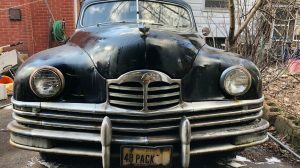 The car is fitted with power steering, power disc brakes, and while it is also fitted with air conditioning, there is no belt, so its condition is unknown. 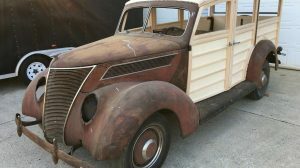 The car has been in storage for 10 years but was recently revived ready for sale. The owner says that the car runs, drives, and stops, but that he thinks the engine might be getting a bit tired. However, he does go on to say that he is also no fan of the 305, so there may be a hint of bias creeping into his assessment. 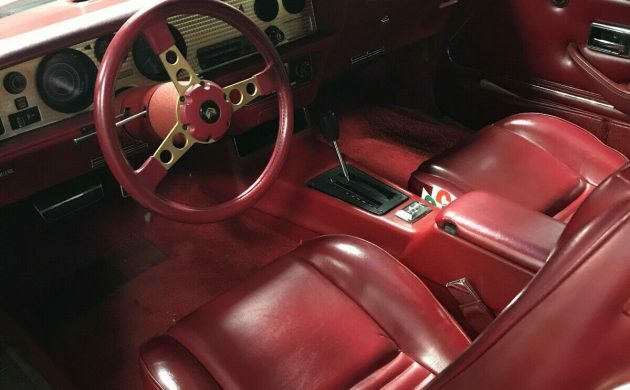 Interior trim enhancements were also part of the Red Bird package, and this included the gold instrument panel, color-coded seat belts, a red-rimmed sports wheel, and red interior trim. Seating material could either be in Carmine cloth or as with this car, Carmine vinyl. The general condition of the interior is quite good. There is some marking and scratching on a few of the hard plastic components, but the rest of the interior looks surprisingly good. It certainly doesn’t look like there’s any major work required in there. 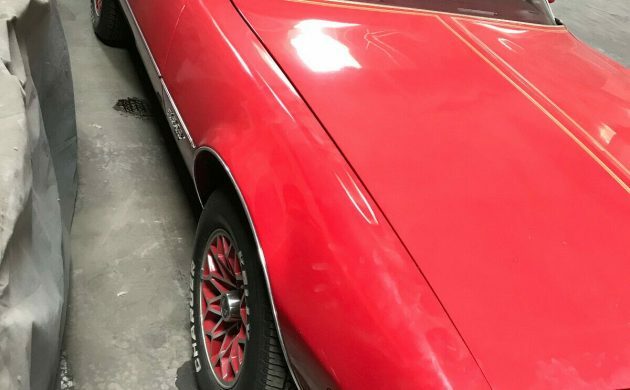 During this period, Pontiac’s record keeping was lacking, so there are no definitive totals for build numbers for the 1978 Red Bird. We do know that they were lower than in 1979 when 4,000 cars rolled off the line. As an enhancement only package, they are quite an attractive car, although they won’t appeal to everyone’s taste. If it does appeal to you, then this one might be worth watching, because, at the time of writing, the bidding has only reached $2,325. I was under the impression that the blue Skybirds and the red Redbirds came out concurrently. This is priced right. Gold decal on the sail panel is correct. 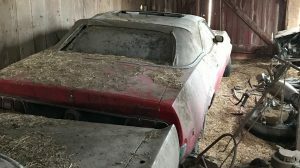 There is a pair of brothers in East Tennessee (Tri-Cities) who have documented their knowledge on Red and Sky birds…it is their specialty behind authentic Smokey Trans Am recreations and trivia. Needs a “Macho” decal or two. That ain’t going to help. These, along with the Yellow Bird and Blue Bird, were very popular among secretaries back in the 70s. Print up a couple of “Free” decals in the same script and replace the “Red”. I like this. Bird decal is weird though. The Chevy 305s at that time were prone to camshaft rounding. Probably the reason why it’s tired. Kind of surprised it doesn’t have a 301. I was thinking Pontiac 301 as well but looked it up and didn’t start production until 1980. Did not realize that it flipped from corporate 305 to 301 that late? Guy dating my sister drove a Skybird. She married him anyway! ‘nuff said…. A guy in my hometown had one new. Always liked it. This one sure seems cheap to me. Always loved those wheel packages. Chrome & Blackout/murder are so overrated nowadays.